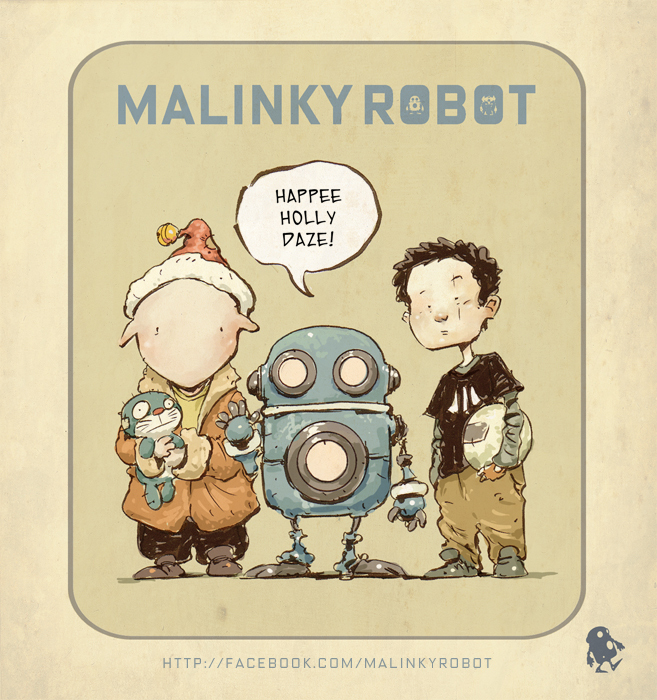 I received this adorable little Christmas Card from Sonny Liew, creator of Malinky Robot, this morning. What better time to remind you to all rush out and pick up a copy of this book for someone on your Christmas list? For the uninitiated, It’s a bit like TekkonKinkreet without the ultra-violence, or the FLIGHT anthologies before there were FLIGHT anthologies. 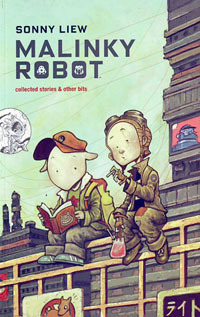 Gorgeous sprawling cityscapes and small stories about big things, the detritus of childhood writ large, it’s fun stuff. I’ll try and run all of the comics-related Christmas Cards I get this year up here on the blog… it’s the least I can do during this very low ebb of content.